The Best of the Best Award was presented during NRCA's 127th Annual Convention in Las Vegas Feb. 24-28. The award recognizes a Most Valuable Player (MVP) Awards winner who makes extraordinary contributions to the roofing industry and community. 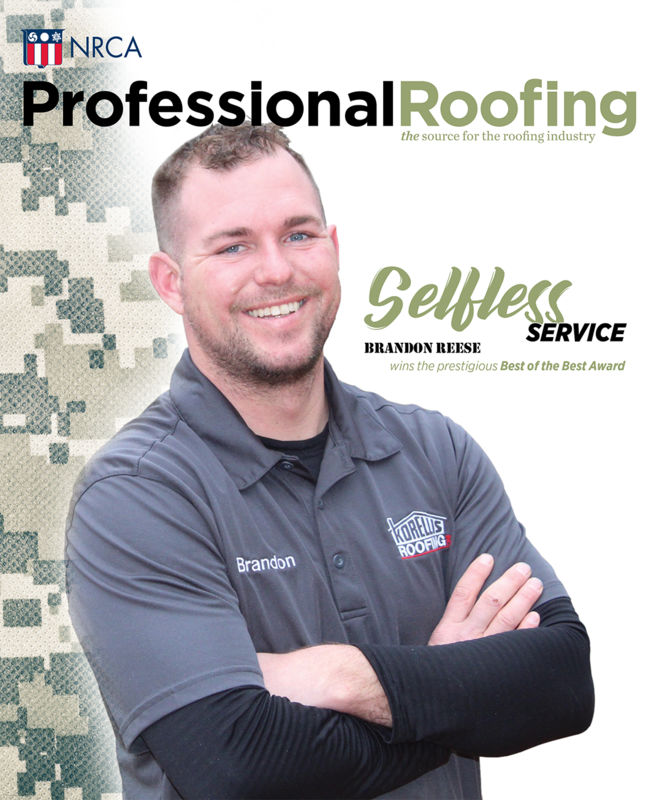 The Roofing Industry Alliance for Progress' MVP Task Force evaluates each MVP Awards winner and tallies points based on MVP Awards criteria, including on-the-job safety, on-the-job performance, recruiting new workers, community service and other noteworthy contributions. Following is a list of previous Best of the Best Award winners. 2009: Gena Madeley, Gooding, Simpson & Mackes Inc., Ephrata, Pa.
2010: Richard Heilinger, Gooding, Simpson & Mackes Inc., Ephrata, Pa.
2012: David Baytosh, Advanced Roofing Inc., Fort Lauderdale, Fla.
2013: Dan Pastore, Upstate Roofing and Painting Inc., Rochester, N.Y. This Web exclusive information is a supplement to A selfless spirit.